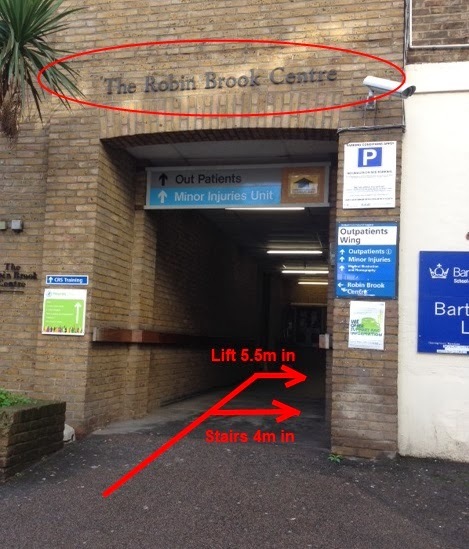 Enter via the open doorway which says Minor Injuries/Outpatients and the lift and stairs are on your right. Go to floor 3. DISABILITY ACCESS - During our special events, the museum can be accessed via a lift which takes you to the third floor. However, there are still 7 steps which lead into the museum so it is not ideal for disabled access. We are working on that at the moment so please bear with us. PARKING - The courtyard surrounding the hospital is hospital parking and not controlled by QMUL. The traffic gates are locked at 9:30PM so don't risk parking if you're attending an evening seminar! 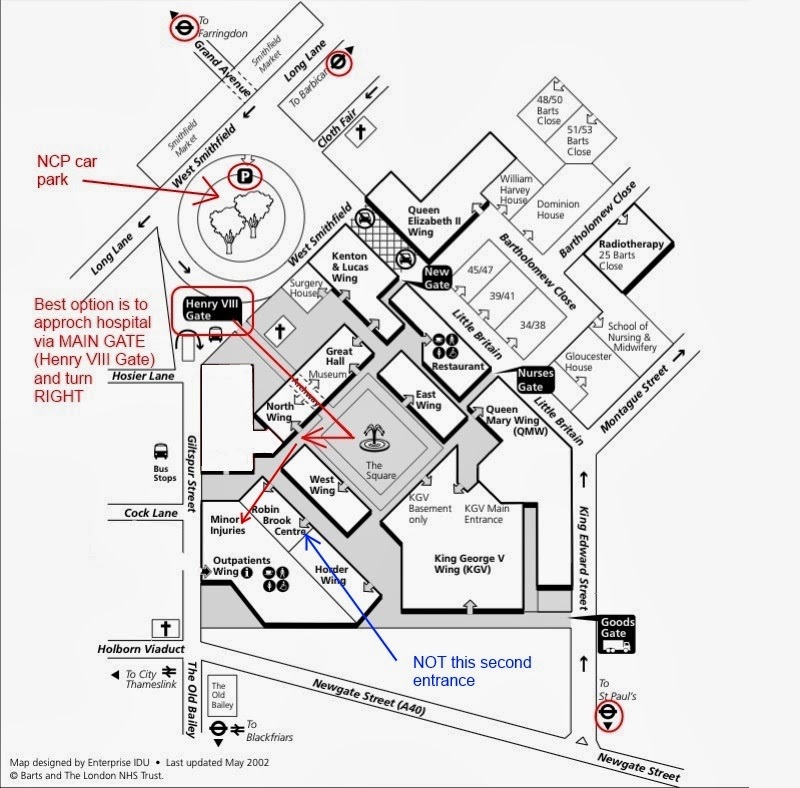 There is an NCP car park outside the hospital which can be seen at the top of the map above (the circle with trees in) and has reasonable charges. Prior to the appointment of the current Technical Curator, the museum was in a state of disarray. As medical teaching changed to include virtual reality scenarios and more pharmaceuticals, the need for the study of anatomy and pathology pots declined. 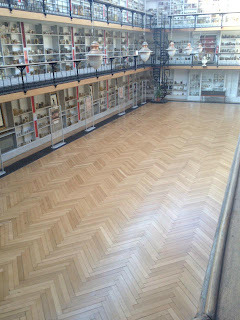 Without funding the pots and the infrastructure of the building suffered and it wasn't until a couple of years ago that a donation was secured to renovate the collection. Grant funding was provided by The Medical College of Saint Bartholomew's Hospital Trust, a registered charity that promotes and advances medical and dental education and research at Barts and The London School of Medicine and Dentistry. I was the lucky one who was appointed to conserve the pots in October 2012. I am working within the deadlines of this conservation project so this should explain the reasons we are not open daily like museums such as The Hunterian Museum or The Grant. There were no real plans to have any events in the Pathology Museum until after October 2014 but after I completed conservation of the first floor it seemed that an experimental series of seminars and lectures would be a good idea. With the support of my line manager (Steve Moore) and the Curator of the museum (Professor Paola Domizio) we have been able to open the doors for those events only, as a means to begin engaging the public with the collection. We are hoping to open the museum one afternoon a week in August so please bear with us and support us by attending our events and spreading the word as we fight to save this museum!